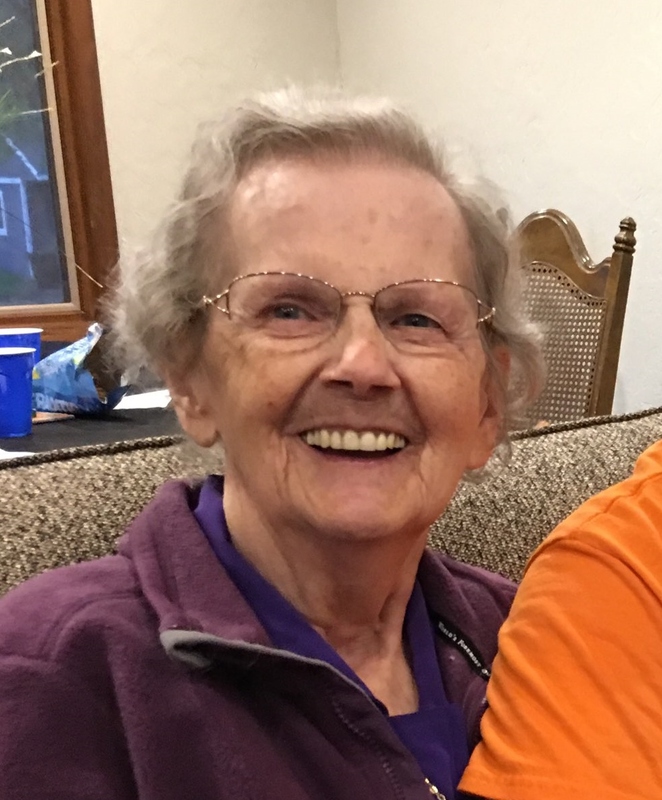 Rita Grace Flanery passed away peacefully on July 19, 2018. She was born the youngest of seven on May 11, 1923 to John and Louise Honrath in Salem, SD. The Honraths spent some time living in Hartford, SD but eventually moved to Sioux Falls where Rita graduated from Cathedral High School. Rita joined the Civil Service following the bombing of Pearl Harbor and later enlisted in the Navy WAVES. She was extremely patriotic and proud that she was able to be of service to her country until she was honorably discharged in April of 1946. At 28, she met and married Orville Claude Flanery, who was her best friend and husband for 51 years. They always joked about who winked at who first when they initially met at church. Together they raised eight children. Rita stayed at home with the children until the youngest started school. After being out of the workforce for close to 20 years she chose to go back to a government position, first as a secretary at EROS Data Center and then on to the VA Hospital in Sioux Falls as a secretary to the chaplain. Even after becoming a busy working mother of eight, she still made time for others and was always ready to help someone in need. Rita was a long-time member of St. Joseph's Cathedral Parish and Catholic Daughters. Her faith and trust in God has and always will be an inspiration to all those who crossed her path. Grateful for having shared her life are her children: Mark (Amanda) Flanery, Auburn, WA, Mary (Harry) Madsen, Sioux Falls, SD, Jane Brubaker, Hermosa Beach, CA, Susan (Mike) Hartman, Harrisburg, SD, Michael (Ann) Flanery, Bremerton, WA, Anne Buske, Sioux Falls, SD, Ruth (Ched) Johnson, Sioux Falls, SD; 20 grandchildren, 14 great-grandchildren; and many nieces, nephews, relatives and friends. Rita was preceded in death by her loving husband, Orville; son, Patrick; an infant daughter, Catherine; her parents; and her siblings: Mary Lacey, Leo Honrath, Florence Siemonsma, Joseph Honrath, Francis Honrath and Virginia Kerkvliet. Visitation will be Sunday July 22, 5 PM at Barnett-Lewis Funeral Home with a Scripture Vigil at 7 PM. Mass of Christian Burial will be Monday July 23, 10 AM at the Cathedral of St. Joseph with burial to follow at St. Michael Cemetery.